It's romantic to think of ponies roaming the moors of Dartmoor National Park in southwest England, tails up, manes flying in the breeze. 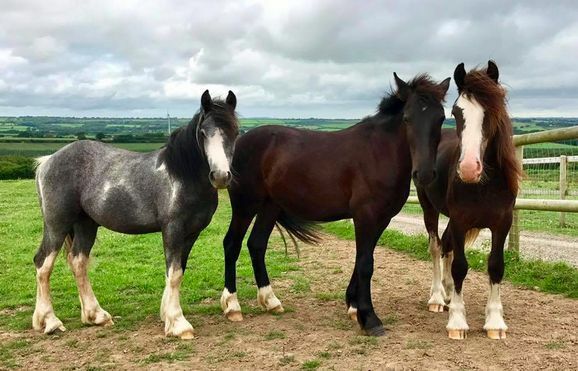 But it's not an entirely happy life for these ponies, many of whom end up being slaughtered and sold for meat, said to be a conservation measure to protect the delicate balance between ponies and parkland. Rescue groups work to save these iconic ponies from this fate, nurturing and finding homes for as many as possible. And sometimes they find themselves rescuing tiny newborns. 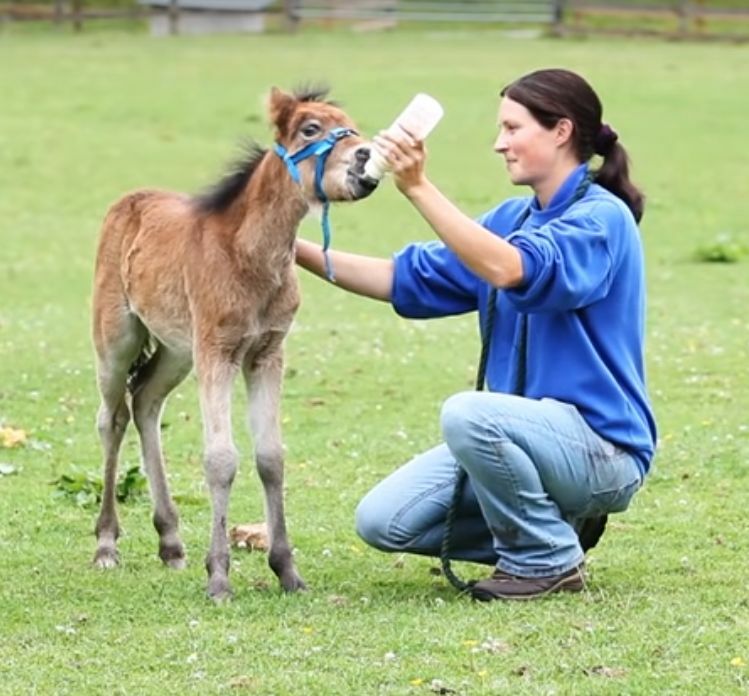 Such was the case with Breeze, a newborn colt found on the moors, cold, alone and suffering from severe dehydration. His mother was nowhere to be found and the other mares rebuffed his frantic efforts to nurse from them. Breeze was rescued just in time by the Mare & Foal Sanctuary, based in Devon, and taken to a warm, dry stall at its facility. He was given round the clock care; treated with antibiotics, bottle fed and nursed back to health. 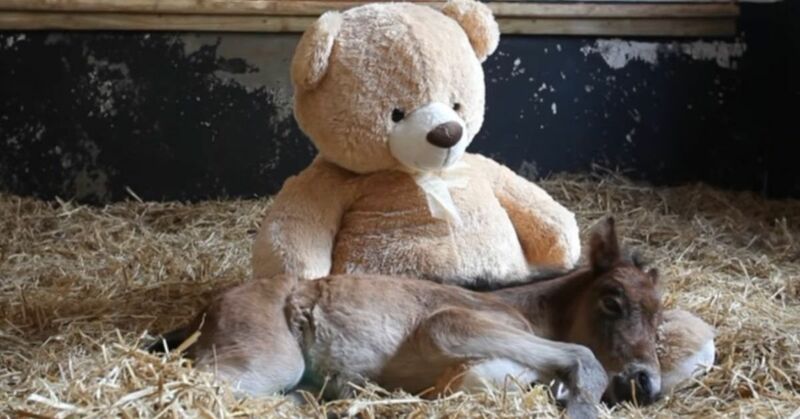 During his recovery from this traumatic start in life, Breeze had an unusual stallmate and one to which he quickly bonded — a large stuffed teddy bear. 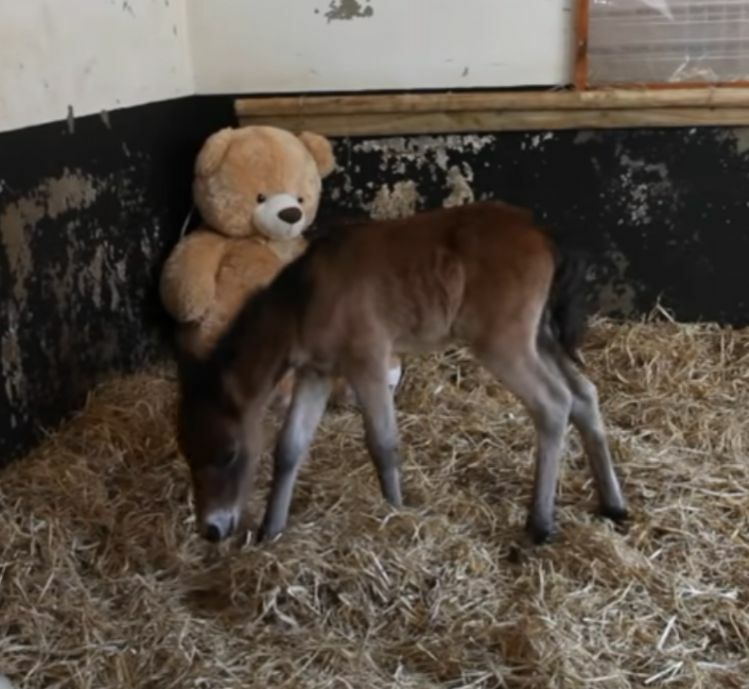 As Breeze's health improved he took to cuddling with the toy-turned-surrogate mother, taking great solace in its calming presence and steady, watchful gaze. In the wild, Breeze would have taken comfort from his mother, nursing often and staying by her side. In her absence, the giant teddy bear provided that comfort. Breeze often took naps curled up on its stubby legs. Breeze also benefited from the loving care of the staff at the Mare & Foal Sanctuary, who have been rescuing and rehoming abandoned or abused Dartmoor ponies for nearly 30 years. 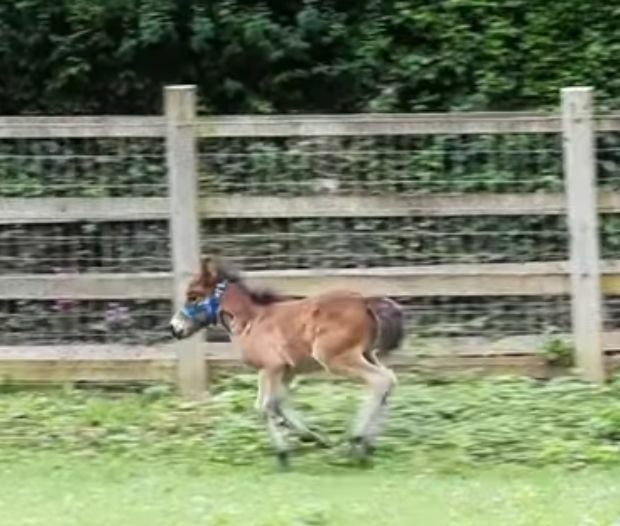 After about a month at the sanctuary, he was more active and enjoyed running in the field with other foals and getting into trouble. Thanks to the care at the sanctuary, Breeze is expected to live a long and happy life.